Payment for tours must be made when purchased. Tours will take place rain or shine, and no refunds will be provided unless tours are cancelled by NISOD. Saturday, May 25, 1:00 – 2:30 p.m. 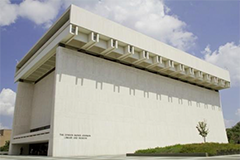 Situated on a 30-acre site on The University of Texas campus in Austin, Texas, the Library houses 45 million pages of historical documents, 650,000 photos, and 5,000 hours of recordings from President Johnson’s political career, including about 643 hours of his recorded telephone conversations. The iconic 10-story building was designed by award-winning architect Gordon Bunshaft and features a Great Hall with a stunning four-story, glass-encased view of the archives collection. Buses will begin loading at 1:00 p.m. and will leave the LBJ Presidential Library at 2:30 p.m.
Saturday, May 25, 3:00 – 9:00 p.m. 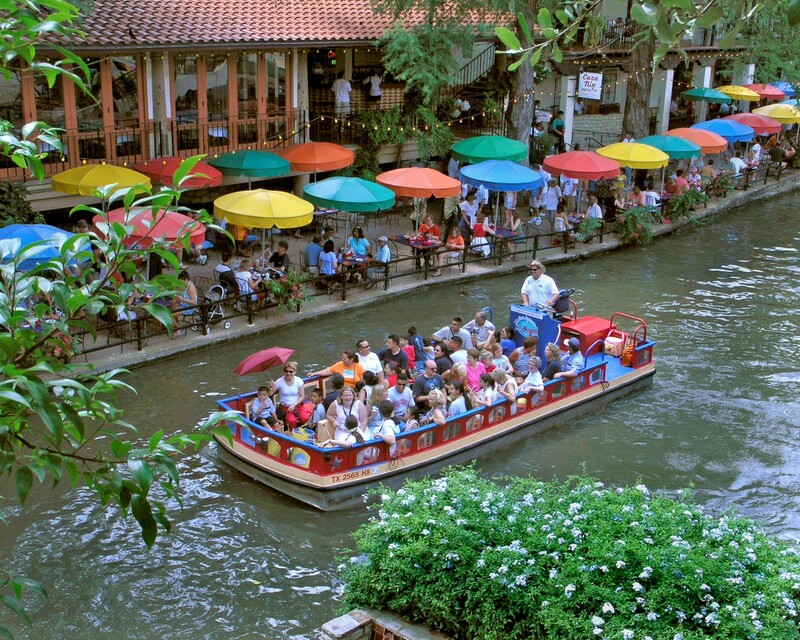 This self-guided excursion provides a tour of the San Antonio River Walk, which is a network of walkways along the banks of the San Antonio River. One story beneath and approximately five miles along the streets of downtown San Antonio, it is lined by numerous bars, shops, and restaurants. The River Walk is an important part of the city’s urban fabric and a tourist attraction in its own right. Buses will begin loading at 3:00 p.m. and will leave San Antonio at 9:00 p.m.